Hello, and welcome. I featured our marvelous Stampin' Write Markers on my last episode of Watch Me Wednesday. 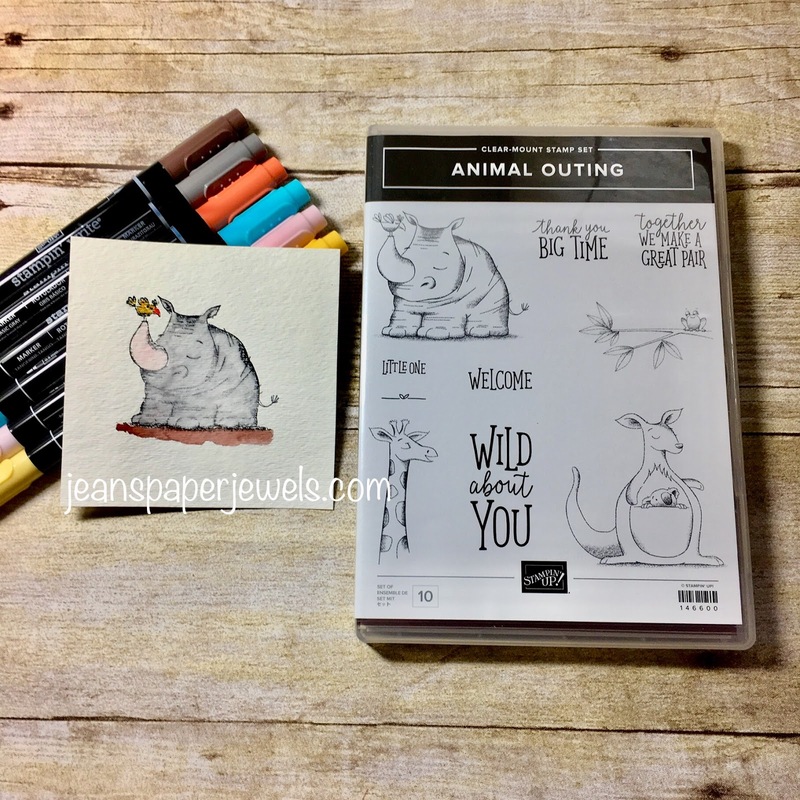 I received the cute Animal Outing Stamp Set at the recent Stampin' UP! OnStage event. Isn't it the cutest ever?! I stamped the sweet Rhino onto Watercolor Paper using Memento Ink. 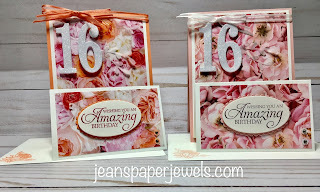 I used a bunch of retiring Stampin' Write Markers along with my Aquapainter to color the image. It came out real cute. I can't wait to make it into a card, and will post it sometime next week. 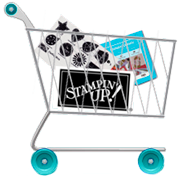 If you haven't heard yet, this year Stampin' Up! is doing a Color-Revamp. That means that they are saying good-bye to 13 core colors plus 4 In Colors. 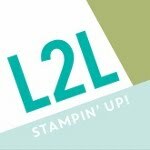 At the same time, Stampin' Up! is going to be changing the designs of their ink pads. Both the design and ink are new and improved.